Feng Shui 2018 is Earth Luck which is about the yearly Feng Shui Qi of our houses and offices. Earth Luck Feng Shui 2018 is to deal with the good and the bad yearly Feng Shui energy in where we live, work and play. We need to activate the good Feng Shui energy and balance or supress the bad Qi if there is any around our houses. If you have read my Earth Luck articles previously, you may know that each year, there are three big Sha Qi (煞氣 Bad Energy) and three lucky stars flying around regardless of the facing and sitting of your house. There is also a couple of medium Sha Qi rotating each year. These good Qi and bad Qi shift to different locations or sectors of your house each year. I will give you some tips how to deal with them. The year of the Dog is bad for the North and west northwest sectors. The Five Yellow annual star (五黃). The Wu and Ji Sha (戊己煞). The Sui Poh (歲破) (The direction opposite to the Tai Sui). 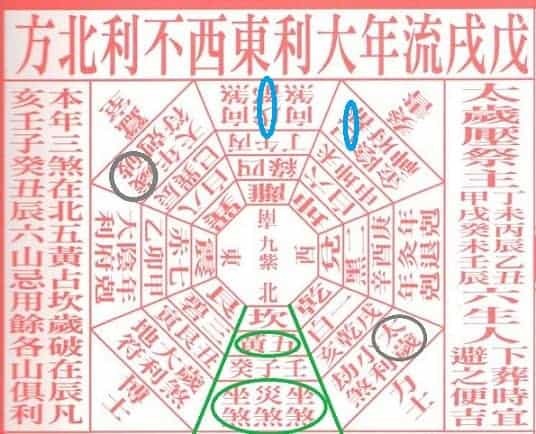 Please note these three Sha Qi have the power to override any natal flying stars chart combinations regardless how good the flying star chart is. So we need to treat these 3 Sha Qi very carefully. The three positive energy or lucky stars are annual flying stars number 6, 8 and 9. Here are the directions and positions of the good and bad energy in the year of the Yang Earth Dog around your house and office. FENG SHUI 2018 Qi DISTRIBUTION IN THE YEAR OF THE YANG EARTH DOG. The money and prosperity star number 8 is at southeast (Xun Gwa巽卦112.5-157.5 Degree). The Flower of Romance star number 9 is at centre. The number one rule to deal with the Sha Qi is: “Respect them and DO NOT disturb it or activate it”. Do not activate the Sha Qi. Therefore, “Move Earth”, which means digging ground or renovating the sectors inside and outside of your house, is prohibited. Yearly bad energy is like a sleeping tiger. It will be fine if it has not been disturbed. However, if the tiger is wakening up and you are happened to be nearby, it will hurt you. THE WEST NORTHWEST (292.50 – 307.50) 戌字位 XU POSITION) HAS THE TAI SUI SHA. The Tai Sui is also known as The Grand Duke. It is the yearly King. The Tai Sui locates at the west northwest or the Xu sector ( 戌字位) in the year of the Dog. The Xu sector is within the Qian Gua area (乾卦). It is the Father or eldest man sector. Tai Sui relates to Health and Emotion. If your main entrance or your bed locates at the west northwest AND if you are the father or eldest man over 48 of age in the house, please pay attention to respiratory system including, lung, throat, nose and large intestines. If you were born in the Dog, Dragon, Ox and Goat year, the Tai Sui will make you much more stubborn than other years. Think before you leap. Meditation helps. In the world scale Feng Shui, the west northwest sector is Europe area, 2018 the year of the Dog is not a very stable year for Europe again. April and October 2018 are the most unstable months. Beware if you have business in Europe. The best way to minimize any bad Qi and sickness energy is not to stir up the yearly Sha Qi sector which is the west northwest sector of your house inside and outside in the year of the Dog. Activate and disturb means “Move Earth”, digging, nailing, chisel and renovation. Do not disturb the Tai Sui sector including the wall, floor, ground and the garden, inside and outside. Don’t slam the door as sound waves can activate the Sha Qi too. Make sure opening and closing the door slowly and gently at the Sha Qi sector. To reduce the impact of the Tai Sui of the year, place a black vase fills with 80% full of clear water or salt water. . If the problem persists, you can place two red flowers into the vase and follow by adding 6 ice cubes every Saturday. THE SAN SHA (3-KILLING) & THE FIVE YELLOW #5 STAR ARRIVES AT THE NORTH SECTOR (KAN GUA坎卦337.50 – 22.50 DEGREE). In the year of the Dog – Feng Shui 2018, the two super harmful Sha Qi arrives at the NORTH sector hand in hand together. The Three-killing Sha Qi represents lawsuits, gossips, arguments. The Five-Yellow represents misfortune and obstacles. We must minimize these two Sha Qi as much as possible. Otherwise, if the qi is activate, the men age at their 30s may have problems related to the water system or reproductive system. If the main door of your house faces north or the bed is at this sector, the male at 30s of age must pay extra attention to the water system. If there is another door way comes into the house at the different direction, even you need to walk a few steps more, just use it. Don’t use the north sector door. Do not let someone drag you in gambling and risky investments. If so, lawsuits and relationship problems will follow you. To reduce the effect of the San Sha and Five Yellow bad Qi, you can place a standing yellow ceramic Ox next to the door. The annual star number #8 which means wealth and prosperity is located at the southeast sector in the year of Dog 2018. Southeast is the Xun Gua, it is the eldest daughter’s sector, wealth will good for lady in their mid-30s to late 40s if you activate here. It will be even better if you have an entrance here or sleep in this sector. If there is an entrance at southeast of your house, this is already activated. To increase the strength, you can place a water feature or 4 lucky bamboos here. The other method is place a 1.3 meter tall indoor plant next to the entrance . The annual star number #9 which means romance and happy events is at the middle of the house. 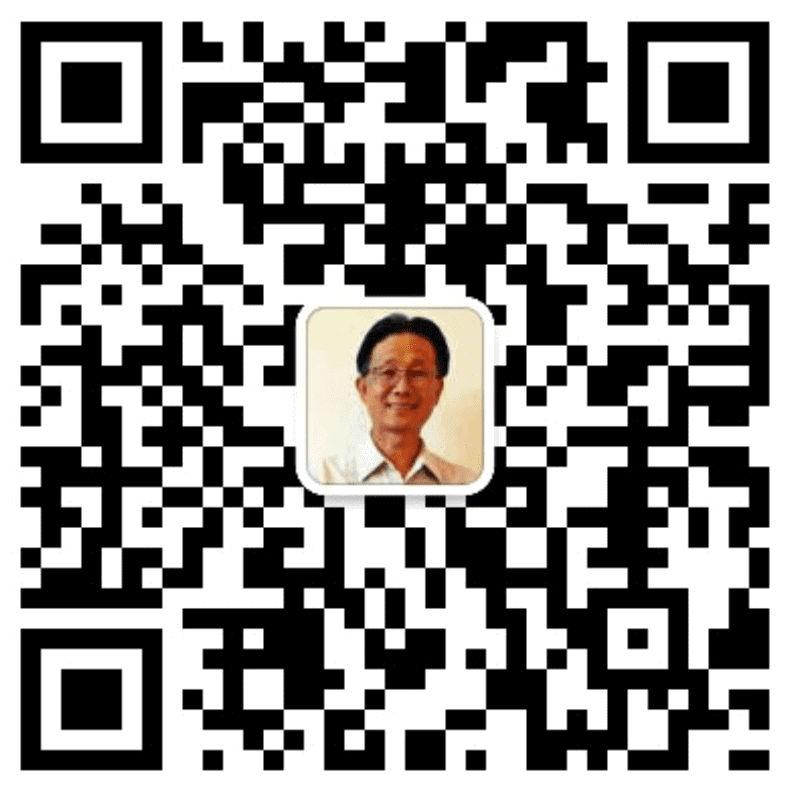 The annual star number #9 also can increase people luck meaning if it is activated, it bring you to meet more people. If the number is over activating by candles it may bring Fire and burn the house. So at the centre of the house or the centre of a place where family members mostly gather together, place a metal vase, add 60-70% of clean water into the vase and grow 4 lucky bamboos in the vase. Also known as the promotion star, the annual star #6 comes to the southwest sector of the house. If your house’s main entrance is at this sector, the mother of the house has a lucky year. She will be having good opportunity getting promoted, change to a better job or re-join the work force in the year of the Dog. You can activate the area by place a red carpet or place a ceramic goat. Sui Poh(歲破) and Wu Ji Sha戊己. The Sui Poh is opposite to the Tai Sui sector. It is located at Chen (辰字位) in the east southeast sector. The Wu Ji Sha is located at the south 172.5-187.50 Degree202.50-217.50 degree. In Sui Poh and the Wu Ji Sha areas “Move Earth” or Digging the areas is prohibited. The above summed up some important areas for your house and office. As each house and office are different. In addition, the occupants have different animal signs. There are lots can be done to activate the good energy specifically for a particular person. If you are not sure what you are doing, you can always contact a Feng Shui consultant near you. All the best and have prosperity Year of the Yang Earth Dog 2018. Good Feng Shui 2018 brings good luck. PS: There is one more article for 2018 – the Man luck or Animal Sign predictions. You can click here find out what is the year of the Yang Earth Dog hold for you!